The Center for Innovative Technology’s (CIT) CIT GAP Funds early-stage investment firm headquartered in Virginia, has invested in Metallum3D, a local 3D printing materials manufacturer and service provider. With this new capital investment, Metallum3D will be able to carry out plans to grow its team; move to a larger office; expand its product development capabilities; and attract partners to its platform. In addition, the company is now in a position to undergo the beta launch of its metal 3D printing service, expected Q2 2019. The primary objective of Metallum3D, according to Zambrana, is to provide, “more access to affordable metal 3D printing materials and services.” With its metal 3D printing service, the company hopes to enable businesses and individuals to sidestep the capital investment of new hardware for metal additive. 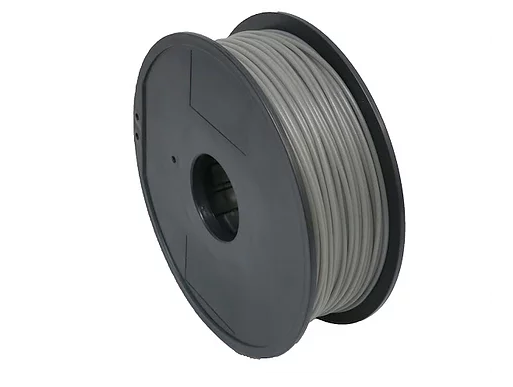 On the materials front, this is fulfilled by Metallum3D though a patent pending FFF filament, which Zambrana has confirmed takes advantage of readily available, and low-cost MIM grade metal powders in a polymer matrix. The idea with this material is that, after 3D printing on a typical desktop 3D printer, the object is placed in a furnace to debind its plastic content and sinter metal particulates together. Other companies making use of such a concept include The Virtual Foundry, material sponsor for the first annual 3D Printing Industry Awards trophy, Markforged, in the Metal X machine, and Desktop Metal, in its Studio System. Metallum3D currently offers filaments fused with Stainless Steel 316L, and Tool Steel H-13. A service line of non-profit innovation accelerator CIT, CIT GAP Funds is actually a family of seed and early stage investment funds sprawling a range of different specialist technology areas. At present, five funds in total comprise the CIT GAP Funds family: GAP Fund I; GAP BioLife Fund; GAP Tech Fund; Commonwealth Energy Fund (CEF); and Virginia Founders Fund. Voting is now open for the 2019 3D Printing Industry Awards. For all of the latest additive manufacturing business news subscribe to the 3D Printing Industry newsletter, follow us on Twitter and like us on Facebook. Looking to hire additive manufacturing experts? Advertise through 3D Printing Jobs to reach our highly specialized talent pool.